Thinking of changing your branding part of your company? 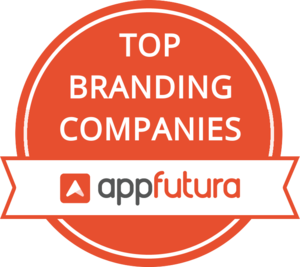 Check the Top Branding Companies worldwide in this directory by AppFutura. Hiring the best branding agencies is a strong move towards having the best branding project. You can list the top branding companies by country or by popularity. Read the best branding agencies reviews and hire the top branding companies around. We’ll help you build your brand from the ground up with thorough competition and market research, branding messaging and stereotyping to arrive at a comprehensive brand guideline. In a constant changing world, transforming your brand is a synonym of reborning again. The best branding agencies have been working for decades now to deliver the top-notch branding project anyone can imagine. In fact, these top branding companies have been awarded for their professionalism and experience by their former clients. Before hiring the top branding company for your branding project, we recommend reading the clients best branding agencies reviews to have an idea of what the top branding company you are looking into is capable of deliver. Once you have your company selected, it is really easy to hire the best branding agency around. You just need to get in touch with them using their contact link and everything will be smooth from there. if during the process of selecting the top branding company for your branding project, you can get in touch with the team of AppFutura. We will be more than happy to assist you in hiring the best offshore branding agency around.